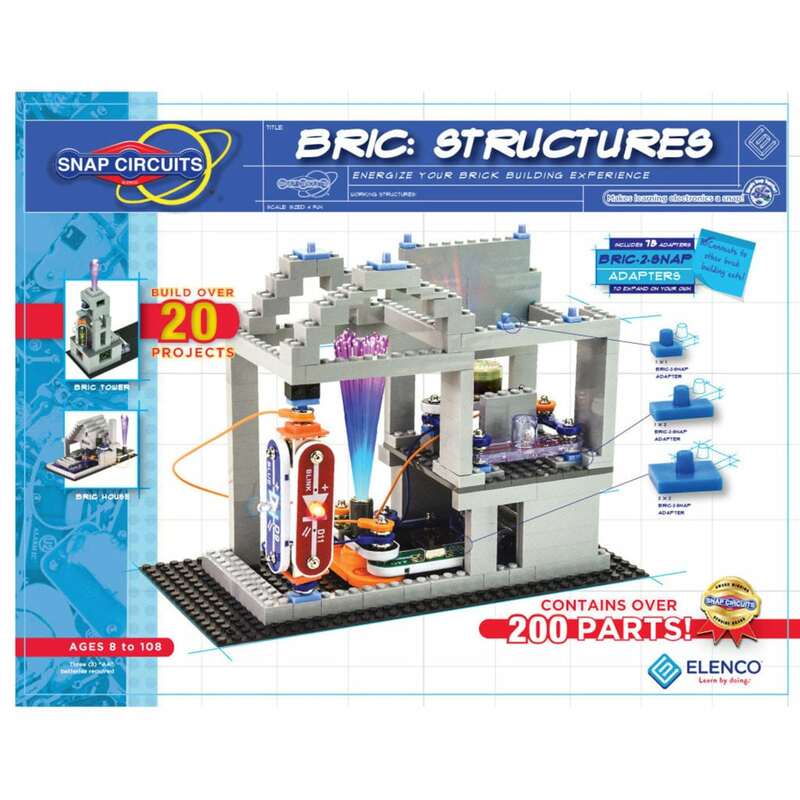 SNAP CIRCUITS® BRIC: STRUCTURES combines SNAP CIRCUITS® with building bricks to make endless combinations of construction and circuitry. Wire up your brick builds with SNAP CIRCUITS® lights, sounds, moving parts, and 3-D circuits to create almost anything and make it go. Have fun learning electricity, engineering, circuitry and more. Includes 20 SNAP CIRCUITS® component parts, 75 Bric-2-Snap adapters, over 140 fully-compatible building bricks, and full-color, easy-to-read project manual with instructions for building over 20 projects. From our NAPPA team: The SNAP CIRCUITS Bric Structures are challenging, but fun. Great for inspiring interest in STEM and electronics. Kids will enjoy seeing how everything works once the circuits come together. There is a cognitive reward in the form of lights and sounds.